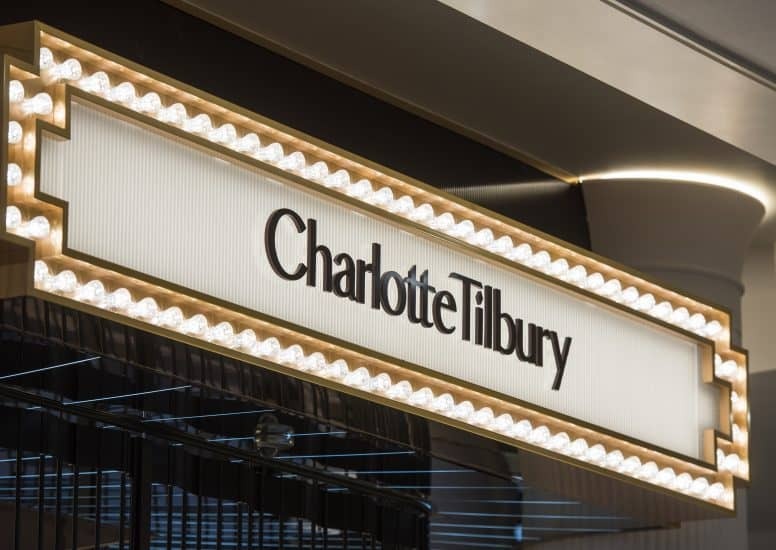 D4R have just had the pleasure of installing brand new window displays for the luxurious beauty brand, Charlotte Tilbury. 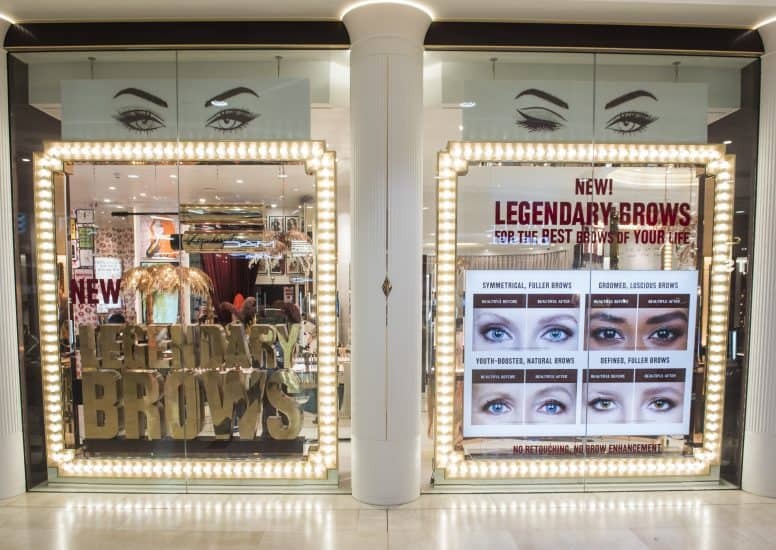 The impactful displays radiate a sense of Hollywood glamour, with statement lighting and graphics of sultry-eyes as part of the legendary brows promotion. 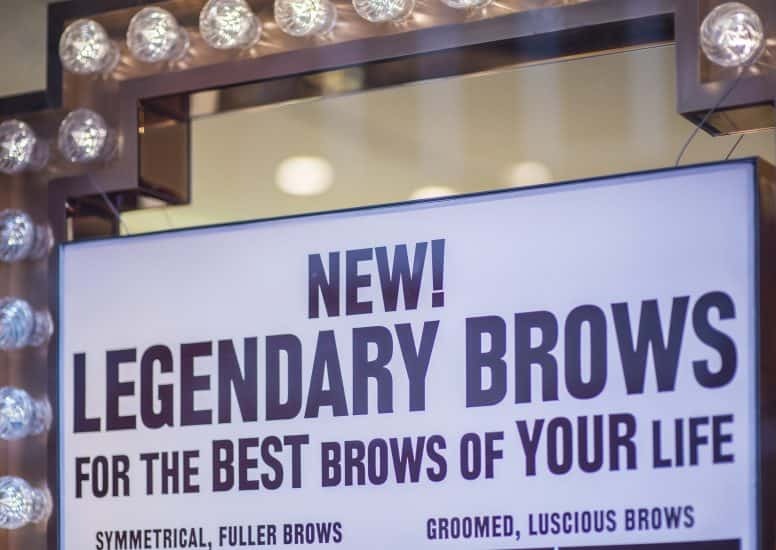 Gold statement lettering features as part of the first window display, with a large-scale replica of the legendary brows wand hanging above. 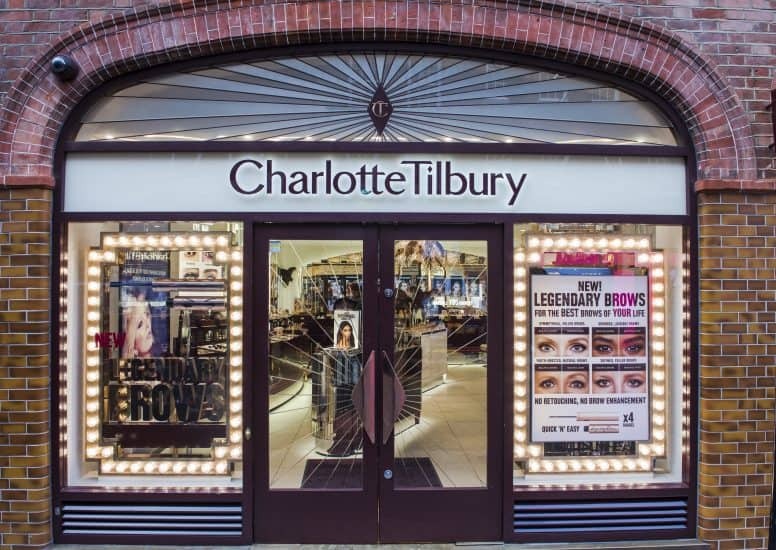 The second window is slightly more full with a large lightbox, highlighting the many benefits of using Charlotte Tilbury’s Legendary Brows collection. 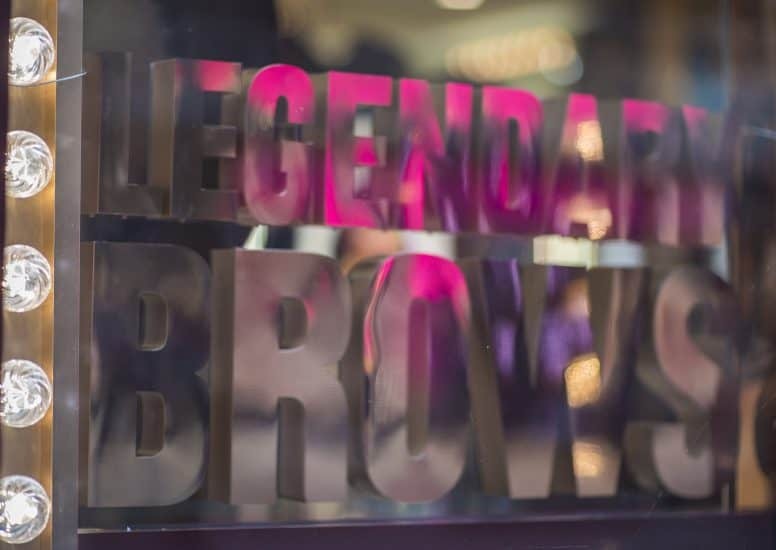 The lightbox allows for the before and after photographs to resonate with customers, inviting beauty lovers to check out the legendary brow wand for themselves. 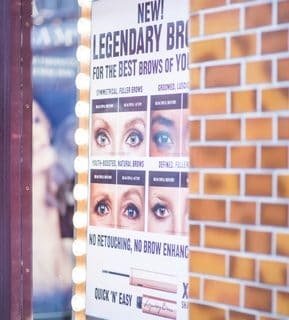 As the competition to find the perfect brow increases, the Charlotte Tilbury brand promote their understanding of this beauty trend through this impactful window display – installed at both Covent Garden and Westfield White City. 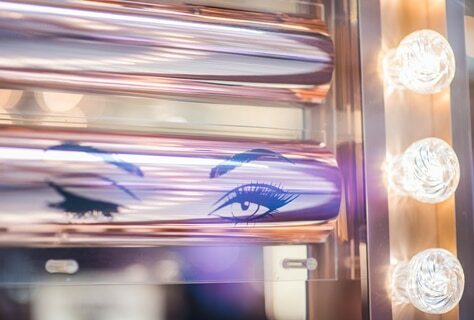 The combination of statement lettering, large-scale gold wand and highly glamorous lighting make for an eye-catching display; flawlessly promoting the legendary brows collection from Charlotte Tilbury. 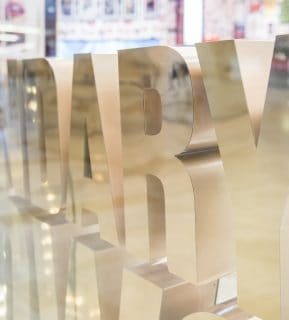 If you haven’t visited before, we recommend taking a closer look at the new window displays and venturing inside to fully experience the luxury brand. 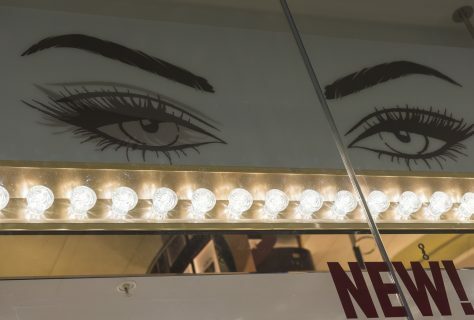 BEAUTY TRENDS – WHAT’S HOT? Clarins Beauty Carnival at Debs W1!